Benny is a hard-working therapy horse at Vermont Horse-Assisted Therapy. When he’s not munching on grass with his pasture mates, he’s helping people in unimaginable ways. For people with disabilities, riding a horse like Benny offers physical, cognitive and emotional benefits. Therapeutic riding is a strong medicine that turns defeat into victory and self-doubt into confidence! 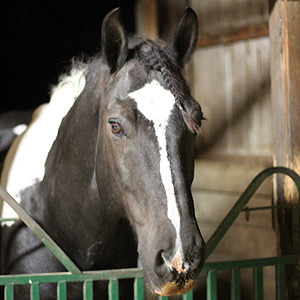 At Vermont Horse-Assisted Therapy, no person is turned away because of financial need. National Life is proud to support Vermont-Horse Assisted Therapy and all the Good they’re doing for the Community. You can too. Consider supporting their work today.